When stunned, all damage taken is reduced to 0. Description: This powerful ice warrior was created as a special gift for Frostval! levels up with the pilot - Max Level = 40! "Viking Power! +X to Crit! ", Adds X to your Critical Rate. X is a number between 30 and 80. "Kald Skar! Damage over time", Inflicts an HP DoT on enemy for 3 turns. Description: This frozen axe has an incredible critical chance. It's severely low temperature leaves the enemy with a lingering chill. "Fryse Spyd! Damage over Time! ", Inflicts an HP DoT equal to 1.5X weapon damage over 3 turns. First hit, on-hit, activates "Ball and Chain weapon increases in power! ", increases the damage dealt by the weapon by 50%. This effect is shared between both shoulders, and stacks. Combos: Special effect is shared between both shoulders, and stacks. 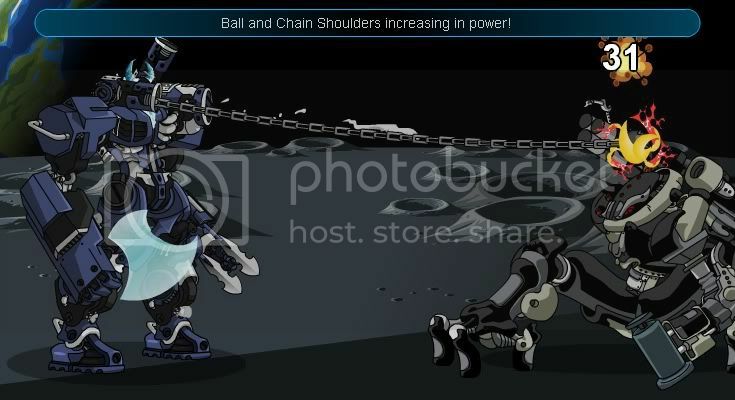 Description: A ball and chain weapon that becomes increasingly effective the more it is used! 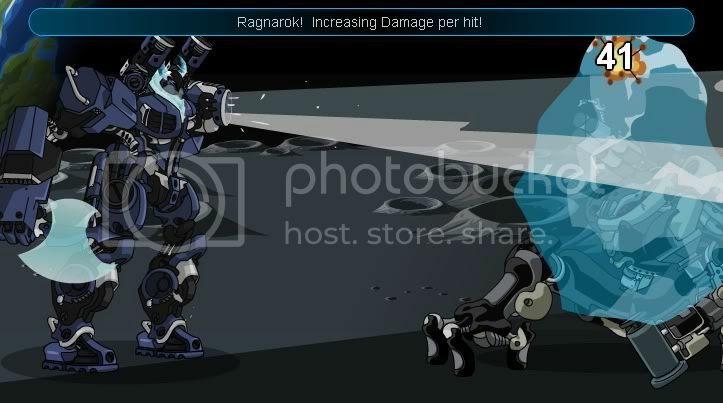 Last hit: "Odin's Grasp! 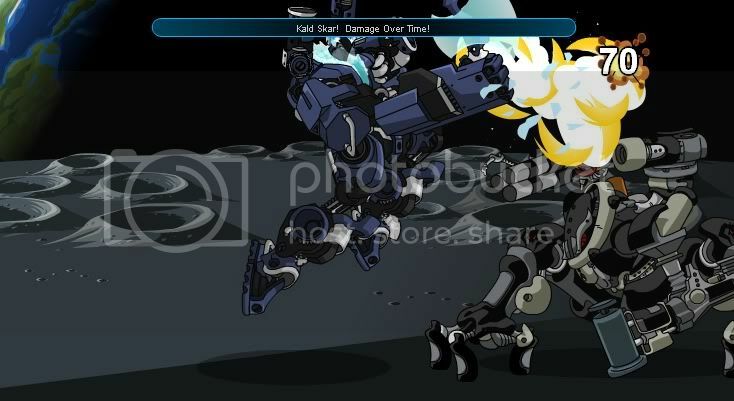 - Attack Damage returning slowly!" - Inflicts -40 Boost to enemy to returns at +5 a turn for 4 turns. This effect will override all other Boost nerfs. 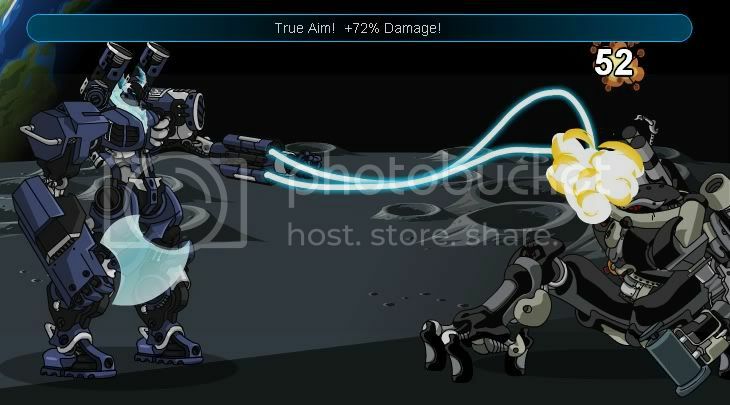 Description: This freezing cannon is the ultimate weapon for the warrior seeking Ragnarok. Gives the wielder a damage boost and weakens the enemy. 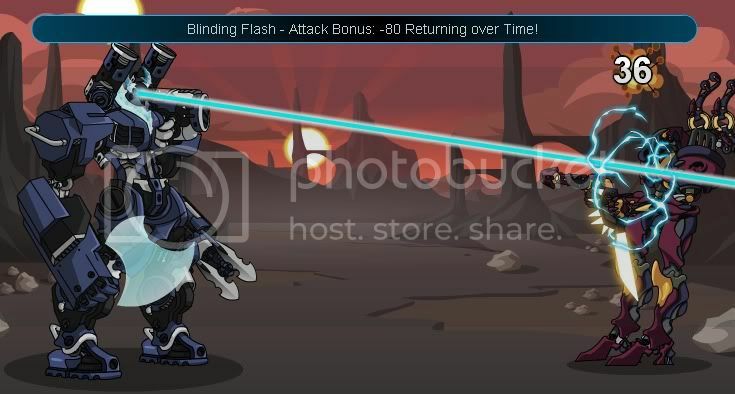 First hit: "Blinding Flash! Attack Bonus: -80. Returning over Time" - Inflicts -80 to the enemy's Bonus that returns at +20 per turn for 4 turns. This effect overrides other Bonus nerfs. Second hit: "Blindness Advantage!" - Improves user's Bonus by 80 decreasing by -20 per turn for 4 turns. Overrides other Bonus buffs. Description: The concentration of the warrior increases in battle while the opponent trembles in fear!